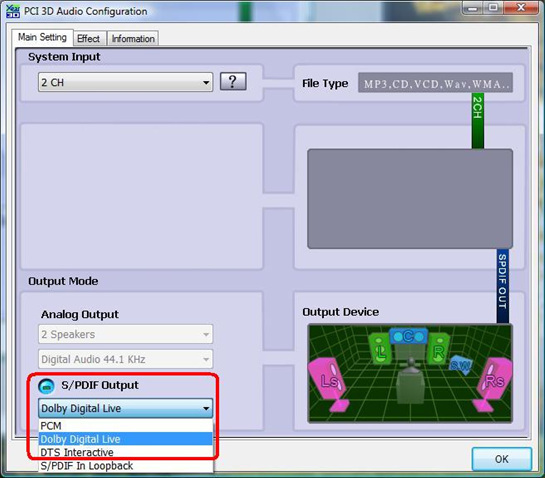 Users must select an S/PDIF Output option: PCM, Dolby Digital Live, DTS:Interactive. Your receiver or digital speakers should now output sound. Note: S/PDIF In Loopback is only for passing through the digital audio signal. This option should not be selected under typical usage.